So we've been thinking, (we do that a lot around here) with the opening of the new salon and how fabulous our clients are, we should celebrate! We would be over the moon if you could join us! Please be our guest and enjoy an evening of celebration with us. It's an Open House so to speak... so pop in! The party will go from 6 PM to 9 PM on Friday May 30Th. We'll celebrate, have some amazing prizes and other goodies. It wouldn't be the same without you... so mark your calendar! You are the ones that make CMS special. (nothing crazy or maybe ; ) mani's, pedi's, brow design (yes we can lift them to new heights) and our fabulous waxing services. (Ahem, summer is coming). Oh! And have you updated your spring makeup look? Yes, all the above should change just like your spring wardrobe. Sooo, we were thinking (no April fools here) what better way to put a little "spring" into one's step than with an appointment at Christopher Moore Salon! We promise to banish those winter blahs into a round of applause. Spring is here and so are we... ready to"highlight" your look. Simply gorgeous. Ready? We just love springing ahead. You will too! Tell us what you want and we book your trip to us. Then just jet on over. Welcome to your world of beauty. It's been a wonderful start with the opening of the new salon! We are having a blast there and can't wait to celebrate even more when we have our official grand opening! We love the responses we are getting about the new space... warm, comfortable, beautiful and chic. it was designed to appreciate you. As we have often said, you are our inspiration. So cheers to you our friends! to make your day a little more scrumptious. Allow egg whites to stand at room temperature for 30 minutes. Meanwhile, line twenty to twenty-two 2-1/2-inch muffin cups with paper bake cups. In a medium bowl stir together flour, baking powder, baking soda, and salt. In a 2-cup glass measuring cup combine the buttermilk and the creme de menthe or green food coloring. Set aside. Preheat oven to 350 degrees F. In a large mixing bowl beat shortening with an electric mixer on medium to high speed for 30 seconds. Gradually add sugar, about 1/4 cup at a time, beating on medium speed until light and fluffy. Beat in vanilla. Add egg whites, one at a time, beating well after each addition. Alternately add flour mixture and buttermilk mixture to shortening mixture, beating on low speed after each addition just until mixture is combined. Or just get vanilla cupcake mix and add the mint, milk and green food coloring... just say'in. Bake for 15 to 18 minutes or until tops spring back when lightly touched. Cool cupcakes in muffin cups on wire racks for 5 minutes. Remove cupcakes from muffin cups. Cool completely on wire racks. Divide White Chocolate Frosting between two bowls. Tint one portion with green food coloring. Spoon each frosting into a pastry bag fitted with a large star tip. Pipe white and green frostings onto tops of cupcakes to resemble four-leaf clovers or just slather it on. Makes 20 to 22 (2-1/2 inch) cupcakes. For each 1 cup sour milk, place 1 tablespoon lemon juice or vinegar in a glass measuring cup. Add enough milk to make 1 cup total liquid; stir. Let stand for 5 minutes before using. If you prefer not to use creme de menthe and prefer the kid friendly version (just as yummy), substitute a mixture of 1/4 cup milk, 1 teaspoon mint extract, and several drops green food coloring. Place white baking chocolate in a large mixing bowl; set aside. In a small saucepan heat whipping cream just until simmering. Pour over white baking chocolate; let stand, without stirring, for 5 minutes. Stir until smooth; let stand for 15 minutes. Gradually beat butter into melted white chocolate mixture with an electric mixer on medium to high speed, beating until combined. Gradually beat in powdered sugar until frosting reaches piping or spreading consistency. Makes 3-1/2 cups if there is any left in the bowl. Oh, and yep we put some green and white m&m's under them to serve. We are at the "new" salon! We Are In The New Salon! We have made the move! will now be at our new space. See You At The New Salon! Now that's something to hit the heart below and like it! Be sure to share us! Taken from our fun-lovin fb page. Follow us everywhere! and thank you again and again for your support! We can't wait for you to see the new space! and "YOU" know we do! Preheat the oven to 325 degrees F and line muffin tins with 24 paper liners. Sift all dry ingredient together. Cream the butter and sugar in an electric mixer, until light and fluffy. Set the mixer to the lowest setting and add the buttermilk, eggs, and vanilla. Slowly combine the dry ingredients with the wet, until the batter is smooth. Fill the liners half full and bake for 15-20 minutes—until the cake springs back when touched. Remove the cupcakes from the tins and allow them to cool completely before frosting. While the cupcakes are cooling, place the chocolate in a microwave safe bowl and microwave in 30 second increments, stirring in between, until melted. Then pour the chocolate in a squirt bottle (or piping bag with a small tip) and pipe cursive or connected words onto wax paper. Keep them small so they fit on top of the cupcakes, and write more words than needed, in case a few break. Allow the chocolate words to dry completely before peeling off the wax paper. For the frosting, beat the butter and cream cheese together until light and fluffy. Scrape the bowl, and beat in the buttermilk, salt, cocoa, and vanilla. Slowly add the powdered sugar until your desire thickness is reached. Then beat in red food coloring until the frosting is as dark as you want it. I used almost 2 teaspoons. Okay, this is a very simple garnish. Melt chocolate and pour into a squirt bottle or piping bag with a small tip. Then lay wax paper out on your counter top and write connected words like: Love, Hugs, Kisses, Smooch, XO's, You+Me, Swoon, Cutie, and so on. Make sure to write more words than needed, because some will break when you pick them up. 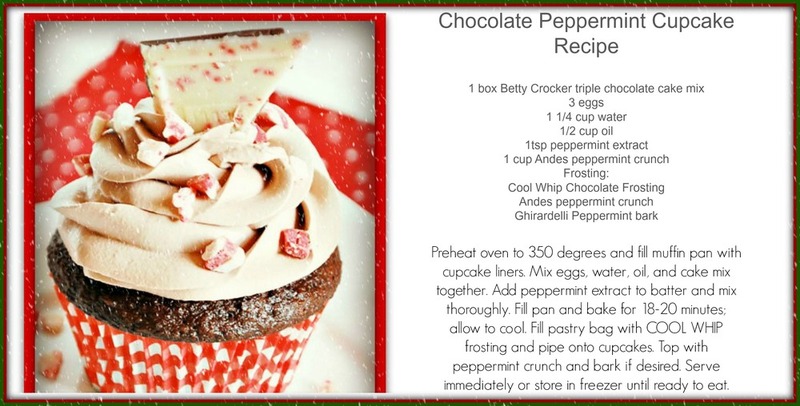 Once the chocolate hardens, peel the wax paper off the back and place them on top of the frosted cupcakes. And... Wa la! 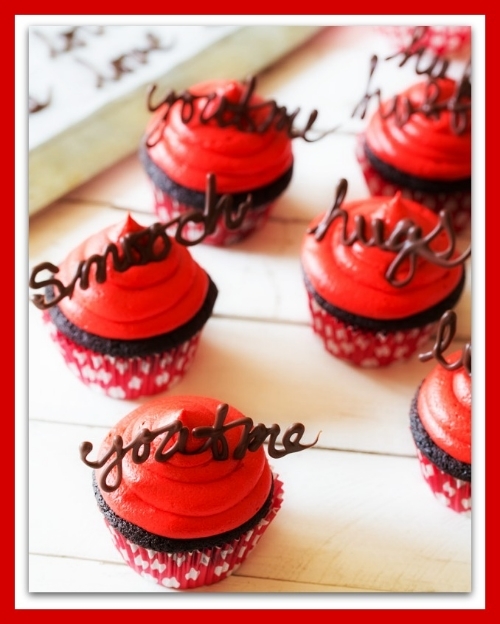 You have decadent, eat your heart out (literally... amazing Valentine cupcakes to share with your lovies. Happy Valentines Day from us to YOU! Don't forget to hit the heart and like us here for some extra xo's! Oh Yeah... we have our own app for your smartphones and smart devices! Go ahead and download it now from your mobile device! 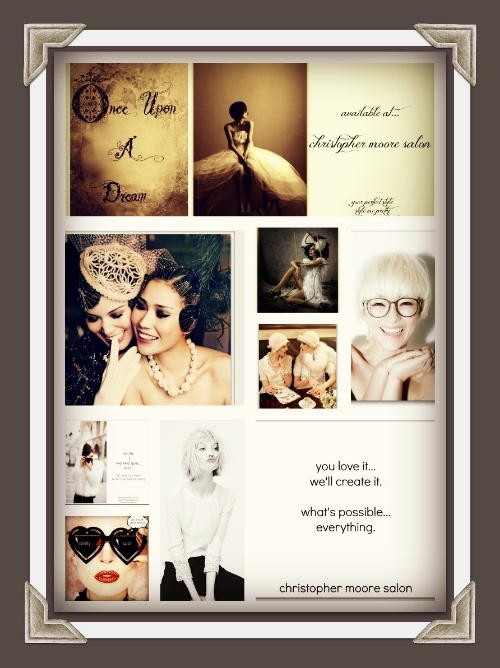 It's all Christopher Moore Salon right at your fingertips. You gotta love this! We Have Our Own Mobile App! pretty much any mobile device that has a mind of it's own. Download our app from your "Mobile Phone or Mobile Device"
simply by clicking the "Get it Now" button at your email or our "Happenings" page on our website. Then just follow the directions your smart device tells you. You're really going to like it here! So keep calling and coming to your appointments. We will let you know when we move to the new salon space. and we promise you will know where we are at all times. We promise it's worth the wait! And we can't wait for all of us to be there! You've got questions… we've got the answers. Where is Christopher Moore Salon? 137 Egg Harbor Road (the original space) in Sewell, NJ. It's connected to where we are now. 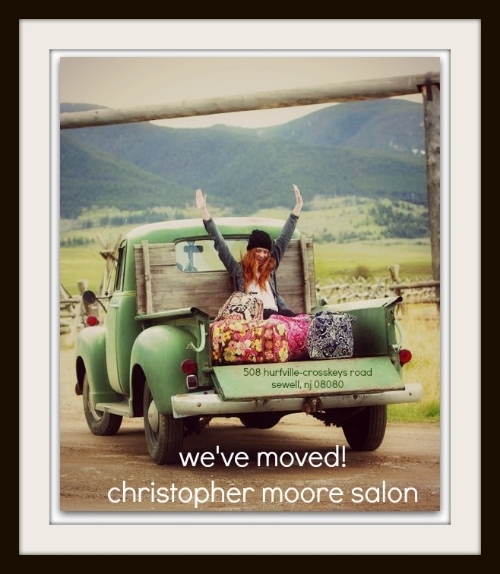 We are proud to introduce the Christopher Moore Salon Team! Whew! That's some good stuff happening with great people! We will be right here for all your beauty needs and appointments. We promise you will be part of this journey every step of the way. Bunker Hill Plaza in Washington Township. It's literally a hop, skip and a jump from where we are now. or if your next appointment is at the new location! Oh! Make sure we have all your contact info and that it is updated. That will keep you in the loop at all times. So get ready to pack your bags… we are taking you with us! And we are so happy you are along for this exciting ride! You are the ones that make it all worthwhile. What's In A Name… Everything! As we get ready to ring in the New Year, we thought we would take some time to thank you for your dedication and following us on our journey. As promised we would like to update you on all the ongoings. When will the doors be open? What number do you call for an appointment? We've got the answers and it's exciting! We will be relocating at some point in January to 508 Hurfville -Cross Keys Road in The Bunker Hill Plaza. (Right across the street from Washington Township High School). Will my stylists and beauty team be there? Yes! We posted a list on Face book, emailed and here on our webpage of who will be at our new salon. There will also be more fabulous talent added to the team and we will announce them as they come on-board! Can I still get my appointments done before the new salon opens? YES!!! For the moment and your convenience we will be staying at our original space at 137 Egg Harbor Road until the new space opens officially. Please call our "new" number at (856) 553-6153 to continue making all your appointments. Can I use my Christopher Moore Salon Gift Cards that I purchased on line? Absolutely! 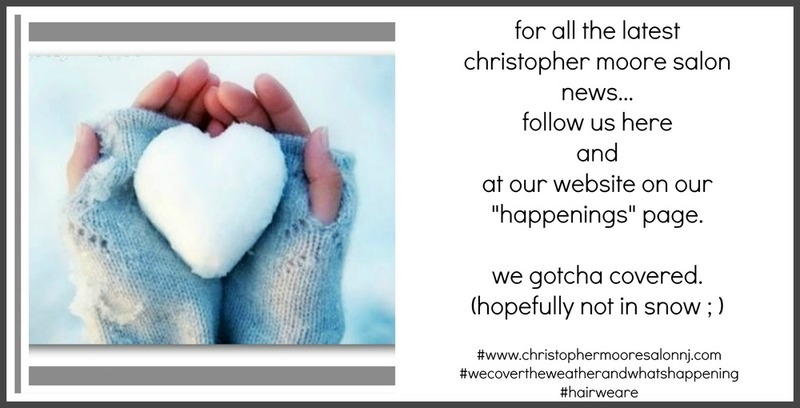 We will honor your on line/printable Christopher Moore Salon Gift Cards you purchased or received where we are now and when we move to our new Salon. How will you tell everyone that you are in your new space? We will email and post on Face book. So follow us everywhere! There will be lot's of excitement and happenings in the next couple weeks and we will do our best to keep you updated every step of the way! So hang in there… we are almost there! Keep making your appointments as you would usually do and leave the rest to us. We promise it's going to be an easy and exciting transition for you. You are our inspiration that makes all we do worthwhile. Thank you for being the most amazing clients and friends. Scroll down and hit that "like" button! Ho Ho Ho and Cupcakes! 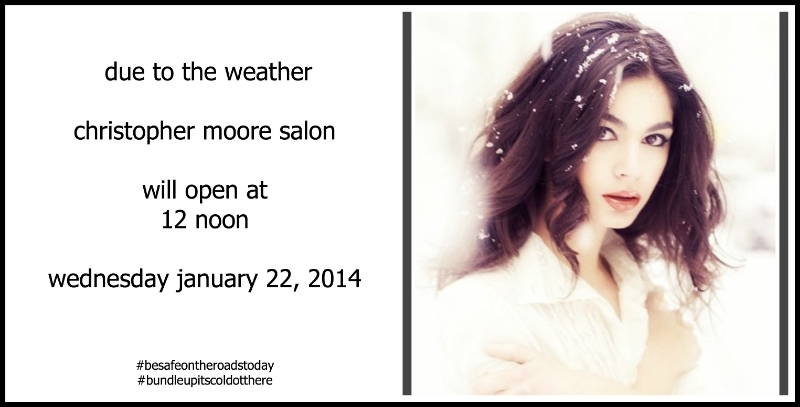 Meet The Christopher Moore Salon Team! We are excited to announce that our team is in place! welcomes this area's top talent in hair, nails and esthetics! and they are excited to see you at our new salon! We are getting closer to opening the doors of the new salon and to celebrate this awesome team and you as valued clients we have a special email coming your way this weekend. So if you are not on our email list just sign up on this page! You're gonna want to hit the "like" button on this one! It's the most wonderful time of the year to give a christopher moore salon gift card! How do we begin to thank you for your friendship and dedication to Christopher Moore Salon. Thank you would never be enough. We are overjoyed that you are part of our journey to the new salon and thank you for your following here, on Facebook our newsletters. 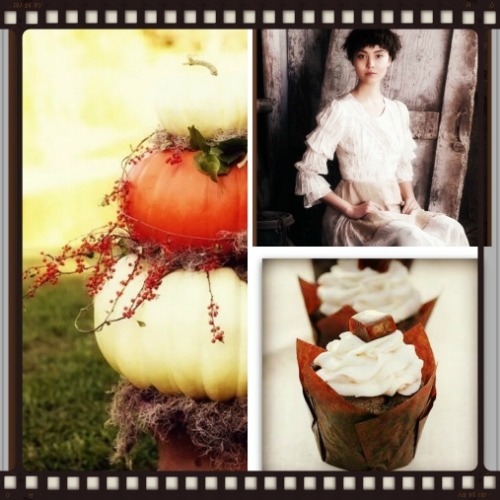 We have to be honest… we love style, hair, fashion and... yes, we also adore cupcakes. Some of our best hair inspirations for color come from something delicious. a little favorite treat from us to you. In a small bowl combine buttermilk and pumpkin. Just mix together until incorporated. In a medium bowl, sift together flour, cocoa, baking powder, baking soda, and salt. In a mixer, beat the butter, sugars, and vanilla together until light and fluffy. Add in eggs, one at a time, until fully incorporated. Alternating, add the flour mixture and buttermilk mixture to the sugar mixture. Beginning and ending with the flour mixture. Mix for 1 minute on low until fully combined. Using an ice cream scoop or 1/4 cup measuring cup, place batter in prepared cupcake pan. Bake for 16-20 minutes. Cupcakes are done when an inserted toothpick comes out clean. In a large mixer bowl, combine the butter and shortening. Whip together with the whisk attachment until light and fluffy. Add the cinnamon and whisk until well combined. Gradually add the powdered sugar, 1/2 cup at a time. Alternately add the half and half, whipping the icing on medium-high speed after each addition, until the desired consistency is reached. Pipe or spoon on cupcakes. Are you ready for the big chill? Neither are we. But if we have to face the elements there is no better way than to look completely fabulous. In-depth shades of color for hair, the precision shape and a, make you drop your jaw, style guiding you glamorously through any winter storm this year. Think deep rich hues, sophisticated yet not to complicated. Envision a smart, direct execution of a sharp cut that separates you, yet defines you. Wrap this together in one pretty little package and you have sensational. Winter will never see you coming but everyone else will. Copyright © Christopher Moore Salon 2014. All Rights Reserved.